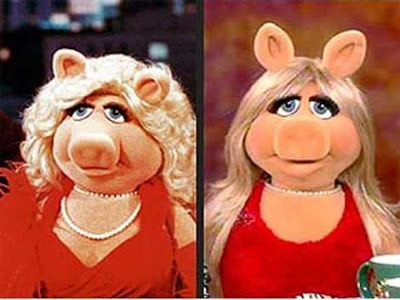 It was 1974 when the world was first introduced to the blue-eyed, blonde hair, even-toed ungulate, known as Miss Piggy. 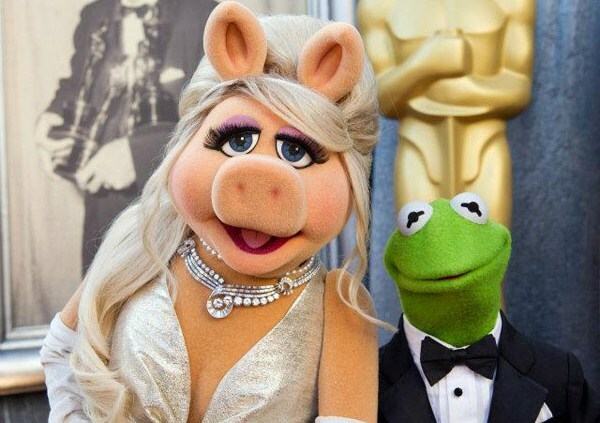 Starring alongside her life partner Kermit the Frog, she became a household name for her work on the wildly popular television program The Muppet Show. Successful as she was in her heyday, Miss Piggy saw her career spiraling out of control after numerous instances of bad publicity surfaced in tabloid magazines. Never a bore, her swineness was photographed while foraging at a swanky New York City restaurant, clinching a BLT. Needless to say the backlash from PETA was overwhelming. After a decade of lying in the weeds, Miss Piggy resurfaced with a brand new movie, and a whole new look. With speculation of plastic surgery running rampant, she felt the need to spill her guts and put all the rumors to rest. During an interview with moviesonline.ca she was asked "What do you do to maintain your flawless appearance?" I've never really had a problem with aging. It’s not that I have wrinkles. The truth is that stuff they inject into your face and your lips… Restylane, That stuff comes from my people. They get that from pigs. And while appearing on the daytime talk show Anderson, CNN's Dr. Sanjay Gupta commented "That forehead doesn't move at all does it?" No it doesn't. There's hardly a single expression I can make on this face. A quick glance at her before and after photo (above) and its painfully obvious that she's undergone at least one stout job, an eye lift, and had her ears pinned. The botox, fillers, and other more invasive plastic surgery procedures have transformed everyone's favorite piglet into a mere caricature of her former self. I only hope this doesn't rub off on Kermit, because the last thing anyone wants hear is 'Kermie's gettin' a neck lift'.